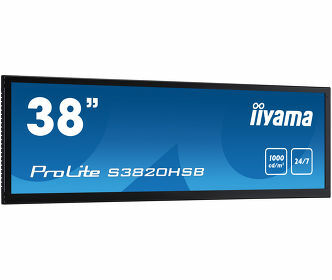 October 21st 2013 – iiyama, one of the leading manufacturers of high quality monitors, is proud to announce the launch of the LCD ProLite X(B)83 series featuring Full HD resolution, LED backlit and the enhanced AMVA+ panel technology. iiyama’s new ProLite monitors (X24/2783HSU and XB24/2783HSU) feature a the latest high quality AMVA+ panel technology. Due to the optimized colour-resist implementation and a new pixel design they feature a static contrast of 3000:1. Even on dimmer images, they result in more comfortable viewing experience with more details, especially in darker images. The AMVA+ technology achieves wide viewing angles of up to 178 degrees. The true 8-bit colour panel (per sub pixel) with sRGB colour coverage guarantees high visual performance with accurate and consistent colour reproduction. The new series will therefore provide excellent performance for Photography, Graphic and Web design. The professional appearance of the new XB83 series incorporates an ergonomic height adjustable stand which rotates and tilts. One of the unique features of this series is the ability to pivot between landscape and portrait modes; a function that is further enhanced by the wide viewing angles of AMVA+ technology, offering outstanding visual performance. 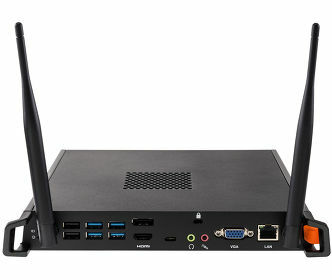 All the monitors have integrated speakers and a range of connectivity options including VGA, DVI, HDMI and a USB HUB, to ensure compatibility across various devices and media platforms. The new generation ProLite X24/2783HSU and XB24/2783HSU are now available across Europe and have a 3 years ‘on-site’ Advance Exchange Warranty.